Microsoft could be trying to chip away at Android’s dominance in its deal with Xiaomi to test the new Windows 10 operating system. The U.S. software giant announced Wednesday that select users of Xiaomi’s Android phones will be able to download a Windows 10 Technical Preview to their handsets, and offer feedback to Microsoft. The software giant is creating a custom Windows 10 build that can be loaded on the phones. Xiaomi has said it’s only an “experimental program” and not a commercial partnership. The program will target “power users” already adept at using their devices to install custom Android ROMs, also known as firmware. Following the announcement, Xiaomi’s online forum said it would release the Windows 10 pack soon. 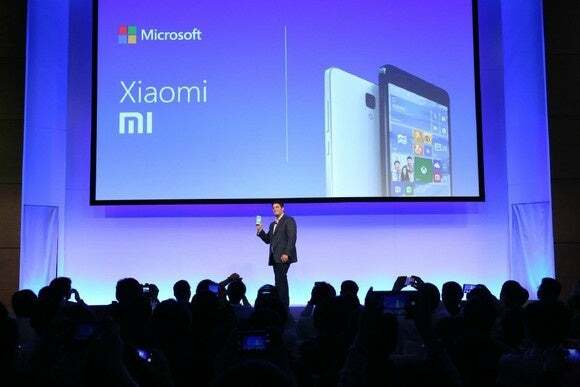 Microsoft declined to elaborate on the Windows 10 preview by Xiaomi users. But it could be a sign of how the company plans to infiltrate Android’s user base. “After all, Microsoft’s end game is to have its services on more and more devices irrespective of the underlying platform, and China is a key market,” said Kiranjeet Kaur, an analyst with research firm IDC. 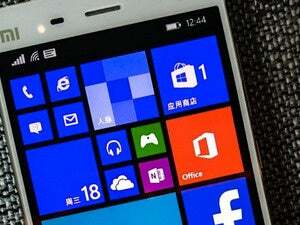 In China, like in other markets, the Windows Phone OS has not been widely adopted. Wednesday’s partnership with Xiaomi, however, could expose the upcoming OS to a sizeable audience. The Chinese handset maker has risen to become the country’s largest smartphone vendor, thanks to a customized version of Android, which is installed across its phones. Xiaomi’s version of Android, called MIUI, is updated weekly, using input from its more devoted users. The Windows 10 experiment will tap into these customers, and could bring much-needed visibility to the OS, said Nicole Peng, an analyst with research firm Canalys. But in the case of Xiaomi, the custom Windows 10 build isn’t expected to go too far. The Chinese company has made it a major goal to eventually monetize services over its Android software. This includes letting users buy special themes to decorate their phone’s user interface. Switching over to the Windows 10 OS would risk upending all that work, especially as Microsoft wants to run its own services. Xiaomi, however, is expanding globally, and analysts expect the company to eventually stumble into patent disputes. One major patent holder is Microsoft, so keeping the U.S. software giant on good terms is in Xiaomi’s best interest. “If Xiaomi wants to grow in scale, they will have to eventually come across working with Microsoft,” Peng said.